It was not a day well spent for Heena Sidhu as the aggrieved shooter could not not meet, and possibly discuss, with National Rifle Association of India chief Raninder Singh her exclusion from the Asian Games mixed air rifle team. The former world number one and Commonwealth Games gold medallist travelled from Patiala to the national capital, hoping to meet the NRAI chief and express her grievances with the "tweaking" in the federation's selection policy. The 28-year-old Heena has been ignored for the Asian Games mixed team air pistol -- an event where she has excelled since its introduction last year. "I spent the whole day waiting to meet with president and now he has assured me that he will meet me tomorrow. I have known him to be a very fair and objective person and I hope that he will uphold the values of transparency and merit and not let schemers get away with their technical manipulations," Heena said. 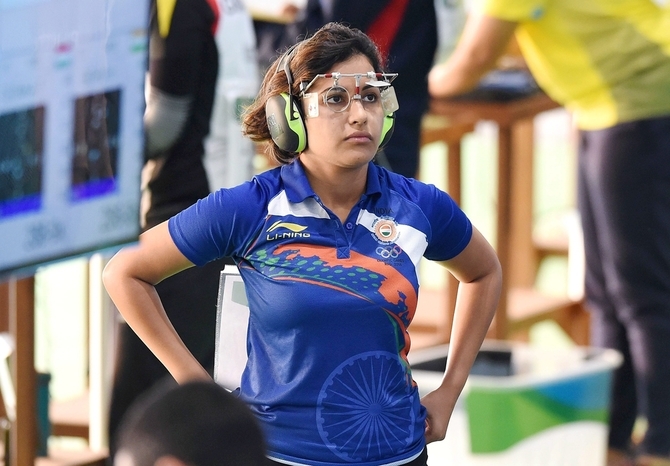 Heena, who recently won a gold medal in 25m pistol event and a silver in 10m air pistol event at the Commonwealth Games, claimed that the selection committee was bending the rules to favour certain individuals. "As per selection policy of NRAI, which is published, I am ranked number one fair and square and based on my ranking and as per policy I should be part of the 10m mixed team event. A U-turn has been made on the policy to benefit some individuals." "The athletes planned their calendar and strategy based on the policy and now we feel cheated and fooled by the federation. The beauty of our sport is that it is a measurable sport and hence we must continue to remain objective and not let subjective human biases pollute the sport," the ace shooter said. According to Heena, the NRAI's selection committee tweaked its policy and flouted with the existing selection criteria by including young pistol shooter Manu Bhaker in the Asian Games and World Championships squads, despite not meeting the selection requirement. Bhaker's inclusion pushed Heena to No. 2 in the 10m air pistol event and No. 3 in 25m sports pistol, from No. 1 in the 10m air pistol and No. 2 in 25m pistol. The new rankings mean Heena cannot shoot in the 10m mixed event and is excluded from the 25m pistol team. However, Heena will be competing in the air pistol individual event along with Bhaker. Where are the great World Cup captains? Is KKR considering stripping Karthik of captaincy?